I held a vari­ety of jobs in high school. I was a babysit­ter, camp coun­selor, life guard, retail work­er and final­ly staff at a day care. Hav­ing all these jobs meant I could save some mon­ey, have a bit for spend­ing, and save up for the down pay­ment for this lit­tle beau­ty. I knew I couldn’t afford much, so I found one of the cheap­est cars I could. I got it for $4k out the door, and with a down pay­ment of about $2000, financed the rest for 18 months. Part time jobs are all well and nice, but they don’t pay all the bills any­more. 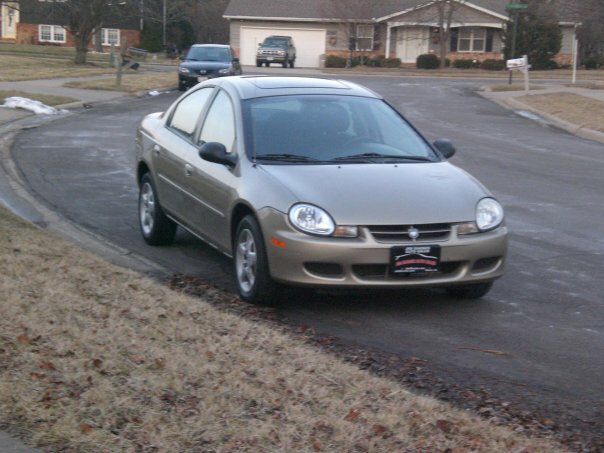 Johan­na, an ’02 Dodge Neon. She was spe­cial. As pre­vi­ous­ly men­tioned, my high school was pret­ty great. 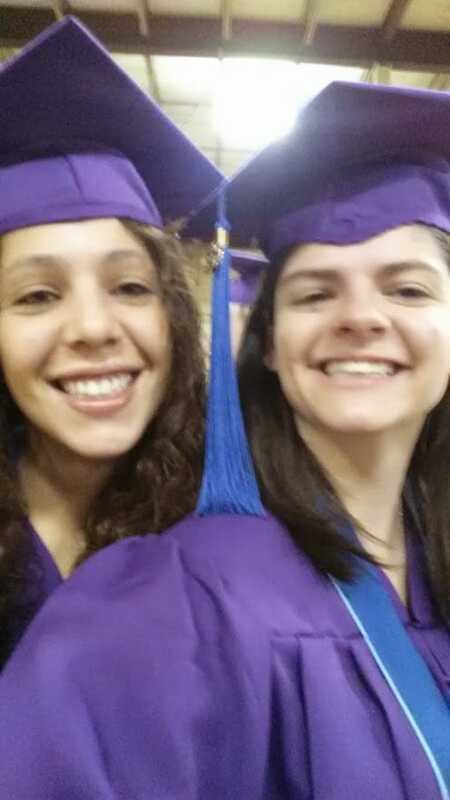 We had an agree­ment with the local com­mu­ni­ty col­lege that allowed us to take slight­ly more dif­fi­cult class­es in exchange for col­lege and high school cred­its. I took as many of these class­es as pos­si­ble, since I knew I was going to be pay­ing for col­lege on my own. For­tu­nate­ly, aca­d­e­mics came eas­i­ly to me. This allowed me to accrue not only 23 col­lege cred­its in high school, but also apply for schol­ar­ships. I got 3 schol­ar­ships for col­lege: one from the local Amer­i­can Legion, one spon­sored by a local bank, and my full ride schol­ar­ship for aca­d­e­mics. I also did a crap ton of extracur­ric­u­lars, most notably get­ting my Girl Scout Gold Award. My fam­i­ly has a proud his­to­ry of join­ing the mil­i­tary (Army, Navy, and Air Force), so I signed up for the Air Nation­al Guard. They gave me a sign on bonus of $20k ($15k after tax­es). Quick sum­ma­ry: Full ride schol­ar­ship, part time job with the Air Nation­al Guard, a semes­ter ahead of my peers, poor as could be and hap­py as a clam. At one point my fresh­man year, I was so poor, I had only $10 in my bank account. My par­ents would slip me a $20 for gas mon­ey so I could come home once a month. Thank­ful­ly, my full ride includ­ed hous­ing and food, so at least I wasn’t cold or hun­gry. This stint of not hav­ing mon­ey taught me real quick to bud­get my small income and make sure I avoid­ed over draft fees and the like. At one point in the fall, I real­ized I wouldn’t have enough mon­ey to pay my car pay­ment (a pal­try $150), so I found the only job I could: going back to my high school retail job an hour and a half away. I think I paid almost as much in gas and wear on my car as I made, but I man­aged to scrape the pay­ment togeth­er. Christ­mas presents for the fam­i­ly were lean that year, but they under­stood. After my fresh­man year, I missed a semes­ter due to mil­i­tary train­ing. I went to basic over the sum­mer and then spent 4 months in tech school. I was super pumped to be mak­ing mon­ey, and my expens­es were basi­cal­ly noth­ing. I paid off my car while I was gone, and saved as much as pos­si­ble. I came back home to do some more train­ing with my unit before I left for school again. It was then that I got my first bonus pay­check. My job in the Air Force was IT relat­ed, so I was inspired to change my major to com­put­er sci­ence when I went back to school. I went from a semes­ter ahead to a semes­ter behind, but since I had missed a semes­ter, my schol­ar­ship would still cov­er it. Then that spring, I nailed a full sized female deer one morn­ing and totaled my car. I hadn’t spent much of my bonus, so I took that, my insur­ance check and a bit of sav­ings to pay for my cur­rent car, a 2005 Pon­ti­ac Vibe. I couldn’t have made a bet­ter choice. Spa­cious, gas effi­cient, and pret­ty cheap. I received the sec­ond part of my bonus and put it straight into a Roth IRA. My grand­moth­er passed away and left me a small inher­i­tance, so I turned that into the foun­da­tion for my tax­able invest­ment account. The rest of my col­lege expe­ri­ence passed by more or less peace­ful­ly. I learned how to play soc­cer, strug­gled with the math and cod­ing class­es I was forced to take, and got an intern­ship. This intern­ship was not only a great work expe­ri­ence, it also taught me many lessons. How to cook for myself, how to get util­i­ties turned on, and how much I hate stu­dio apart­ments. I slept on my couch all sum­mer since there wasn’t enough room for a bed and a couch. My back wasn’t exact­ly pleased lol. I worked my tail off at my intern­ship and was reward­ed with a full time job offer 2 weeks into my final semes­ter. I grad­u­at­ed with hon­ors and start­ed work­ing a month after that. I had sav­ings, but I had to dig deep into them to pay my deposit, rent, and food before I got my first pay­check. That went towards a buffer and some food, and then my sec­ond pay­check went towards buy­ing an actu­al bed. I was tired of sleep­ing on the couch! So there you have it. My com­plete back­ground. I’ll prob­a­bly ref­er­ence this in future posts and/or go a bit more in depth in some details that I might have skimped on or skipped over com­plete­ly. How has your finan­cial back­ground impact­ed you? Great start! Do you have a post on your jour­ney in the nation­al air guard. This peaked my inter­est. I don’t but I have a post in the works on lever­ag­ing your time in the mil­i­tary to help you get ahead in life. You are going to be very suc­cess­ful in life. Your moti­va­tion in life will real­ly pay off. I love read­ing your blog. Keep up the great work!